The "Knapsack Bible" was a popular gift for soldiers for use in South Africa 1899-1900. It was bound in Khaki and sold for 2/6d and was sent to the specific trooper by book post for 3d. Three Bibles are displayed in this collection. During the Great War, 2450 Private James Benjamin COWAN received a Knapsack Bible from his mother. 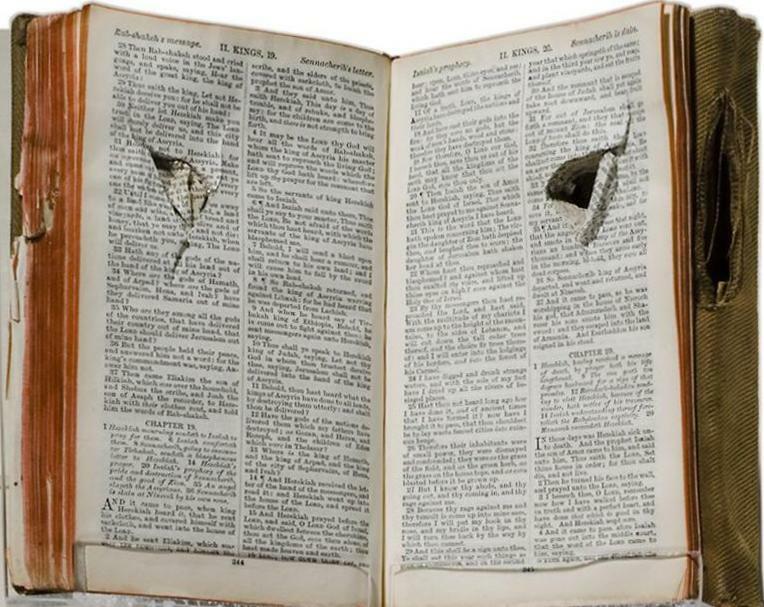 This Bible was originally sent to South Africa with 56 Trooper Peter Bruce RANKINE, who served with the 2nd South Australian Mounted Rifles. This is the Bible upon which most of the album bases its material.